If you sign up now, May will be your first box. Check out our review of the May Classic Box to see what you can expect! Now through 5/31, use coupon code GLOSSYMAY to get a free bonus past GlossyBox when you sign up for a 3-month subscription! Your first box will be the May GlossyBox. Check out the May 2018 GlossyBox review to see what you will get with your first box! Are you grabbing this deal? Now through 5/28, use coupon code MEMORIAL30 to save 30% off Loot Crate Core Crate subscriptions! Check out our Loot Crate reviews here. For a limited time, Pet Plate is offering 30% off their already discounted trial offer! Use coupon code SUMMER30 to get this deal! Or, use coupon code PETMONTH20 to save 20% off your first two boxes! Now through May 28th, Fabletics is offering 50% off sitewide for VIP members for their Memorial Day Sale! If you haven’t signed up for Fabletics yet, use this link to get your first outfit for $19! Box of Style is having a Memorial Day flash sale! Check out the full spoilers for the Summer 2018 Box of Style to see exactly what you will get with your Summer Box. You can also use MD35 to save 35% off Past Collections and the Ellie Exclusives Collection. For a limited time, JustFab is offering your first look for $10! Check out all of our JustFab reviews to find out more about this box. Through May 30th, SprezzaBox has 25% off sitewide with coupon code REMEMBER. If you sign up now, May will be your first box. Read our review to see what’s in the May SprezzaBox! Now through May 28th, use coupon code MEMORIALDAY2018 get $26 off your first box from Winc! Winc is a wine subscription box that re-imagines the traditional wine club. They offer a regularly changing selection of unique, small production wines that are sourced directly from vineyards and winemakers. Check out all of our Winc Reviews or visit the Drink Subscription Box Directory for more boozy boxes! Funko is having a Memorial Day flash sale! Now through 5/28, use coupon code FUNKO15 to save 15% off sitewide! Plus, get free shipping on orders $50+. This includes past Smuggler’s Bounty, DC Legion of Collectors, Marvel Collector Corps, and Disney Treasures boxes! For a limited time, use coupon code MEMORIAL50 to save 50% off your first NatureBox purchase! Full details: New customers only. Max discount $15. Now through 5/28, use this link to save 50% off your Wantable styling fee! This can be applied to the Fitness Edit, Style Edit, or Men’s Fitness Edit! Candy Club has a new deal – save 70% off of your first 3 candies when you use coupon code sale70s at checkout! For a limited time, use coupon code SPF5 to get your first month of Book of the Month for only $5! Book of the Month is a monthly book subscription box. Each month, 5 curators pick out their favorite new hardcover books, and you can choose which one you want to receive on the first of the month. You can also add up to 2 additional books for only $9.99 each. Check out all of our Book of the Month reviews to learn more about this subscription box! The Adore Me Memorial Day Deal is available now! Use this link to get your first set for only $19.95! For a limited time, use coupon code MEMORIALDAY to save 30% off any length subscription to SinglesSwag! Check out all our SinglesSwag reviews to learn more about this subscription box! BarkBox has a new deal for longer length Super Chewer subscriptions! Now through 5/27, use this link to get an extra toy free in every box when you sign up for a 6-month OR 12-month BarkBox Super Chewer subscription. (To redeem your Extra Toy Club membership, simply select “Yes, Please” on the Pupgrade page). Check out our Barkbox Super Chewer reviews and Barkbox reviews to see why we love this subscription! Love With Food is having a sale! Now through 6/30, use this link to get a FREE $20-value bonus box with any subscription of 6-months or longer, plus use coupon code SASS18 to save an additional $10 off their Tasting, Gluten Free or Deluxe plans. Now through 8/30, use code PIK18 to save $20 off your first box from kidpik when you keep $40 or more! Save an additional 30% off when you keep the entire box + free shipping! Now through 6/15 , use code NEWGRAD20 to take 20% off any 2, 3, 6 or 12 Month Gift Membership! Or, you can get free bonus items with a new GoodBeing gift subscription! FabKids is having a Memorial Day sale! Now through 5/29, VIP members can save up to 75%! If you’re new to FabKids, use this link to two pairs of shoes for only $9.95! Now through 5/30, save $20 off your first Kidbox! Just use code MEMORIAL20. Emma & Chloe is having a flash sale! For a limited time, use coupon code MEMORIAL to save 20% off your shop purchase! Sun Basket has a Memorial Day deal available now! Use coupon code 60MEM18B to save $42 off your first box, $10 off your second box, and $8 off your third box from Sun Basket when you sign up for the Quick & Easy Meal Plan! *Promotional offer for new customers only. Fanchest has a new coupon for all of their chests. Now through 5/28, use coupon code BOGO when you buy one chest and get a second Fanchest at 25% off! Check out our reviews of the recent Pittsburgh Steelers, New York Rangers, and Pittsburgh Penguins Fanchests to get an idea about these boxes – and check out all of our Fanchest reviewsto see even more! For a limited time, use this link to save $20 off your first ButcherBox and get free bacon with your first box! Or, use this link to sign up for ButcherBox and get 2lbs of Free Wild Alaskan Sockeye Salmon with your first box! 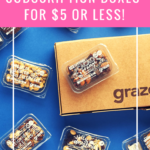 For a limited time, coupon code MAY18 to save $10 off of the Fall POPSUGAR Must Have box when you sign up for a new subscription! Check out our POPSUGAR Must Have reviews to see what you can expect from this subscription! For a limited time, use coupon code MEMORIAL to save 20% off all Discovery Boxes in the Green Kids Crafts shop! Fabletics is having a Flash Sale! For a limited time, new VIP members can use this link to get your first Fabletics outfit for $19! The BOS code hasn’t worked and is giving an expired error. Thanks for doing the research on all these great deals! I have Tried several times to use the 20% code at Emma & Chloe but I cant Figure out where to put it. All I see is a place to enter a gift card but it doesn’t accept the promo code. What’s the code for this deal?? What’s the Birchbox code? I am not seeing that deal anywhere. How do you get 2 boxes? I searched my Birchbox emails. I don’t see a promo code for this. Did you get it in an email?